A fortunate bounce that goes the way of your favorite team may tempt you to say: “it’s better to be lucky than good.” But are we even able to distinguish between the two? Advanced sports analytics begins to help us disentangle the effects of luck and skill. Surprisingly, the Pythagorean win expectation can better at predicting future win/loss record than even the past record. Better at predicting future record, even more than actual current record. Compare this formula with the Hill equation in biology, which models cooperative behavior like the binding of oxygen to hemoglobin. Consider the 2016 MLS Cup. The Seattle Sounders prevailed in penalty kicks despite not generating a single shot on goal for 120 minutes of regulation and extra time combined. In contrast, Toronto had seven shots on goal, including one that looked like a sure game-winner, except for an incredible save by Stefan Frei. Had it gone in, everyone would have congratulated Toronto on a dominating 1-0 victory. Instead, Seattle ended up with the cup. Or how about Leicester city, who overcame 5000:1 odds to win the English Premiere League last year? They benefited from poor showings from the traditional EPL powerhouses, and also were lucky enough to edge out quite a few close games. While most expected a return to Earth after such a meteoric rise, I don’t think many expected such a fiery crash landing. This year, Leicester city is fighting to avoid relegation. Ice hockey is (somewhat) better when I comes to rewarding the best team, but even then, games can be decided by a bounce of the puck. To help figure out if an NHL team’s success is attributable to luck or skill, we can turn to Corsi, Fenwick, and PDO. Unlike baseball and football, hockey doesn’t have well defined “states” to analyze. Instead, we can use shots on goal as a way to approximate puck possession. Corsi is the sum of shots on goal, missed shots and blocked shots. Fenwick is the same with blocked shots excluded. Why are shots so important? The basic idea is that generating scoring chances takes skill, but whether a goal is actually scored is unpredictable. Just putting the puck on net allows good things to happen, like a deflection or rebound, even if the original shot doesn’t go in. Also, your opponent can’t score you have the puck. So Corsi/Fenwick is a measure of skill independent of the “luck” of goals going in. Conversely, the sum of shooting percentage and save percentage is called PDO. The thought is that these values are the luck potion, that should tend to regress to 100% over time. Of course, PDO can remain high if you have an exceptionally good goalie, or sharpshooting skaters. 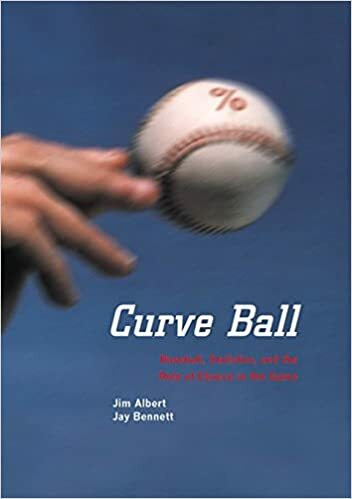 From the author that brought you Moneyball and The Big Short, comes the Hollywood-ready story of an epic scientific bromance that overturned decades of economic thinking. 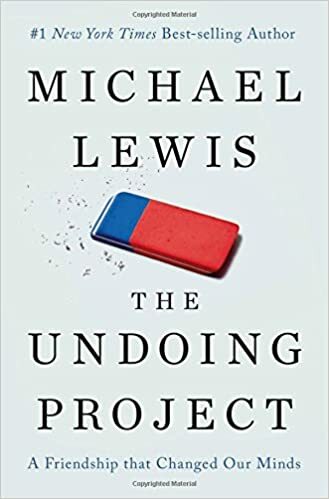 Michael Lewis starts his new book, The Undoing Project, with the caveat that it is kind of like the inverse of Moneyball. Instead of focusing on how people might use pure data and analytics to compensate for the fallibility of human judgement, he is going to write about the study of those foibles themselves. 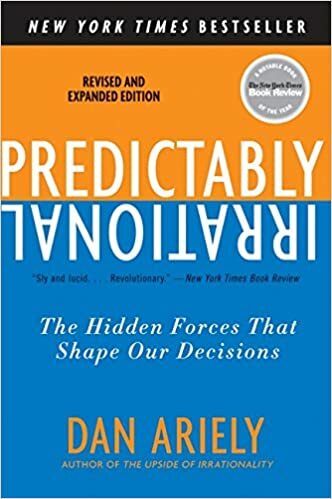 Although I had already read “Thinking, Fast and Slow,” Nobel laureate Daniel Kahneman’s magnum opus on how the Human brain uses heuristics, not pure rationality, to make decisions, I was still riveted by the narrative of how he and collaborator Amos Tversky worked together on these ideas with very different, but complimentary styles. Similar to using optical illusions to understand how vision works, Kahneman and Tversky used surveys to demonstrate mental blind spots hardwired into the brain. (A) Linda is a bank teller. (B) Linda is a bank teller and is active in the feminist movement. Since the set of all bank tellers includes bank tellers who are feminists, (A) must be more likely. By adding more restrictions, (“active in the feminist movement”) it tricks us into thinking it will be more likely. Another example: Estimate the likelihood that at least 1,000 people will have to evacuate from California this year. Now estimate the likelihood that a forest fire will start in Southern California and 1,000 people will have to evacuate this year. Again, the brain uses the representative of the narrative as an imperfect proxy for how probable we should think something is. The main principle is that real people are affected by the way choices are framed – whether as a loss or a gain – or by how representative a description sounds. 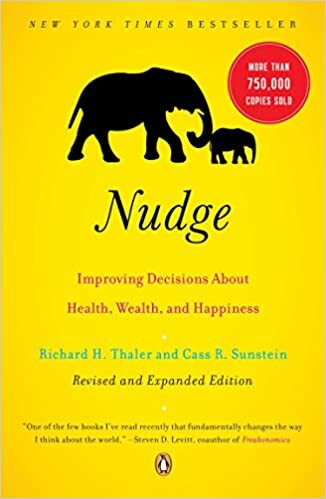 While we might now consider some of these findings obvious – people are clearly not omniscient, perfectly rational, purely selfish members of homo economicus – Behavioral economics upset a great deal of Economic theory. This is because mathematical models of economic behavior rely on assumptions like stable preferences of rational actors. The idea of “bounded rationality” makes everything a muddle. And if people are Predictably Irrational, then the errors are not just random noise, but rather a systematic bias that won’t even wash out on average. The upside, however, is that if real people are not perfectly rational, they can be nudged into doing the right thing, like saving for retirement, with simple changes to the framing or “choice architecture,” which is basically how the options are framed.